We’d been driving for an hour and a half since leaving central Beijing when the car suddenly slowed to a halt. “This isn’t exactly where the GPS told me to go, but I think it’s the place,” says the driver. I look out the window and see a simple wooden archway leading to a plain, one-storey building. The facade is bare except for some words painted in black capital letters. “Who is your farmer? Where does your food come from?” it reads. I’ve arrived at Shared Harvest, a 2.6-hectare farm in the countryside 70km north of the capital, to meet Shi Yan, its founder and chief executive. This is one of two Shared Harvest farms; the second is located in Tongzhou, half-an-hour away. Yan greets me warmly, wearing a knitted green cardigan and long purple scarf. “Sorry I’m late. It’s busy now because of the conference,” she says. 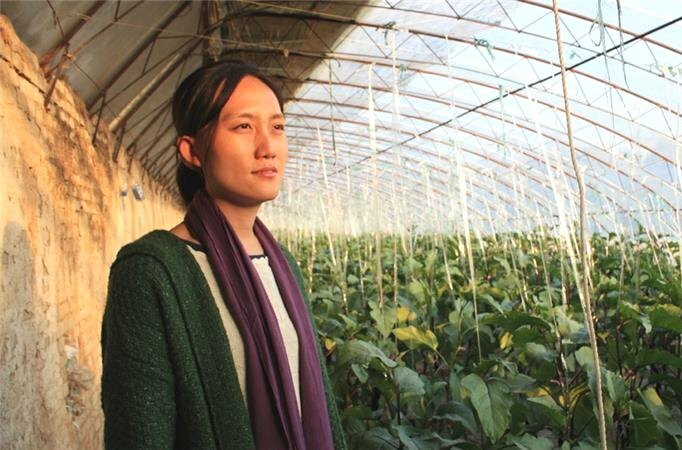 Thirty-three-year-old Yan is a trailblazer in Chinese agriculture. As a young student at Beijing’s Renmin University, she was concerned about the widespread environmental damage, such as soil erosion, being caused by chemical-reliant farming practices. In 2008, she travelled to the US as an intern at Minnesota’s ecological Earthrise Farm and to see CSA in action. Being community-focused, CSA farms are run under organic or biodynamic principles. A key element of CSA is its shared risk, membership-marketing structure, which helps to financially protect farmers while linking them directly to consumers. Shared Harvest is the result of what Yan learned during her six-month stint at the American farm, which covered everything from farming methods to member management. And the farm is not only her workplace, it’s also the place where she held her wedding. At Shared Harvest, Yan walked down the aisle carrying a bouquet of broccoli instead of flowers and fed her guests dishes made from food grown on-site. Today the farm supplies fresh produce to its 500 members living in the city. “A lot of people don’t know where their food comes from. 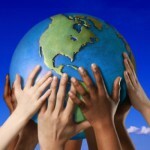 It’s a world far away, but CSA is about relationships. It’s important for consumers to understand and build a relationship with farmers,” says Yan. When she first started Shared Harvest, few had heard of CSA. Now, there are more than 500 CSA farms in China. This month, Yan helped organise the sixth annual international and seventh national CSA conferences, which took place in Beijing. The farm prides itself on natural alternatives to synthetic pesticides. Instead of synthetic fertilisers, farmers use ash, hot pepper, and tobacco water to treat crop diseases, such as leaf spotting. Farmers can spend half a day picking bugs off plants by hand, and on the rare occasion that crops are infected beyond repair, the team simply rips them out and starts again. But finding natural solutions can be tedious and labour-intensive, with some problems requiring weeks of individual attention. Unsurprisingly, Shared Harvest members pay a premium upfront for their weekly delivery. Supplies of vegetables, eggs and meat cost roughly three times more than that sold at ordinary supermarkets. It’s expensive, but Yan believes 40 percent of Beijing residents can afford green produce. “It requires a different mind-set,” she says. And it’s not only the consumers whom Yan hopes to convince. She’s equally determined to educate Chinese farmers about organic practices. “We have to understand the mind of the farmer, and using pesticides is just like smoking. They’re addicted to it,” she says. Pesticides were first introduced in the 1970s, and quickly became a mainstay on Chinese farms thanks to easy access, low regulation and government subsidies. The agricultural industry gorged itself on chemical use in order to increase and maintain food output to sustain a growing population. 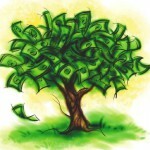 However, the environment, and ultimately the consumer, paid the price. This year, China was ranked as one of the world’s worst safety violation offenders by the American food consulting firm, Food Sentry, which noted that pesticides were a major problem. Laboratory testing found that 32 distinct pesticides were found in Chinese foods, mostly produce, fruit and spices. A variety of studies have found a link between pesticides and a wide range of health problems, ranging from headaches and nausea to cancer and endocrine disruption. American research released in 2009 showed strong links between agrichemicals and birth defects. But Greenpeace East Asia says that, while Chinese consumers are conscious of food safety problems, awareness about environmental impact is low. “Pesticides have polluted more than 100 million mu of arable land, that’s more than six million hectares. And those pesticides have entered into the waterways and accumulated in the soil, and are even present in the air,” says Wang. According to Greenpeace East Asia, urgent changes are needed to protect both China’s food safety and security. “It will be a disaster if China doesn’t take responsibility to make a shift. There should be a diversion of public investment into a smarter way that considers sustainability,” says Wang, adding that she would like to see more funding for CSA farming. Home to the world’s largest agricultural system, China produces 20 percent of the world’s food supply, the majority of which is wheat and grains, while owning only 10 percent of its cultivated land. Some trace China’s organic farming origins to the 1990 government “Green Food” certification programme, which marked certain produce not as “organic” but rather, “high-quality and pesticide-controlled food”. It was developments in this programme that later led to the formation of the country’s first organic certification bodies. According to organic trade fair Biofach, the penetration of organic produce in China remains a drop in the ocean, accounting for just 1.01 percent of total food consumption. But it’s growing fast, with that number nearly triple 2007’s 0.36 percent. The momentum can be felt at Beijing’s weekly farmers’ market. Taking place in the family-friendly suburbs of the city’s northeast, an otherwise quiet outdoor shopping centre is transformed by the presence of hundreds of shoppers crowding the makeshift stalls of 40 organic suppliers. I arrive to find market convener, Chang Tianle, on stage surrounded by children. It happens to be the market’s fifth anniversary and a special programme has been organised. “I was asking them fun questions, like who’s the youngest farmer here and who just gave birth to a baby. It’s just to introduce our market and the ideas behind it. To support local producers, protect the environment etc,” she later explains. Started in 2010, the market began as a small arts project involving only a handful of organic farmers selling to a small crowd of expats and young Chinese. Chang, a former journalist who joined the team four and half years ago, is credited with spreading the message of the farmers’ market to the wider community. “At the beginning, people didn’t really understand what we were trying to do and who we are. So we did a lot of education and advocacy via social media,” says Chang. Today the Beijing Farmers’ Market attracts 1,000 customers each weekend and is supplemented by a permanent “Community Market” shop close by. Customers seem to fall largely into two groups: elderly Chinese and families with young children. At the market, Chang says, customers talk to farmers, and some even visit the farms. “It builds trust,” she adds. Also at the market is Jan Douwe van der Ploeg, a Dutch rural sociology professor. He’s attending to give a talk on the topic of his new book, The New Peasantries, which argues that the preference for large Western-style industrial scale farms is short-sighted. “China is far better off with its own peasant farmers. They shouldn’t artificially push scale enlargement,” says Van der Ploeg. During the 1990s, China’s leaders and policymakers pushed for large-scale farming as a way to increase productivity, production, and increase farm income. During a “state of the nation” address, then-Premiere Li Peng explicitly referred to large-scale farming as the solution for increasing crop yields, pointing to successful large-scale mechanised farming experiments in southern Jiangsu province, northern Zhejiang and Beijing as models. However, even then, there was a recognition that large-scale farms were only feasible in economically developed areas where agriculture was not the main source of employment. More recently, officialdom has acknowledged the value of remaining small. This year, a list of 50 farm policies was published by China’s Ministry of Agriculture, referring to the development of scale or ‘”new-scale farmers”, such as specialised grain producers, family farms and farming cooperatives. Funding worth 23.4 billion renminbi (about $3.8bn) was also allocated. It is China’s traditionally high number of farmers concentrating on smaller plots of land that Van der Ploeg refers to as the reason for China’s “enigmatic” impressive productivity. “At the moment there is a contradiction because, in farming, so many chemicals are used. But using natural methods has traditionally been strong in Chinese agricultural history. And now, what there needs to be is a rediscovery of that art,” he says. Translated from Chinese, “Xin Nongren” means “New Farmers”. The term is fondly applied to Yan and other young Chinese like her, who have quit jobs in the cities or elsewhere to devote themselves to sustainable farming. Back at Shared Harvest, I’m introduced to a member of her team, another “new farmer”, Wang Chong. The 24-year-old is responsible for leading the packing of produce into boxes to be delivered to farm members, as well as growing the produce in some of the greenhouses. “When I first arrived earlier this year, the winter melons were just sprouts. Now, they’re about a metre high,” he says proudly. Having grown up on a farm, Wang was interested in agriculture and was advised by a friend to contact Yan. “My friend told me that CSA offered farmers a better income than conventional farms, and I liked the idea of growing organic produce,” he says. Reliable statistics regarding the average earnings of Chinese farmers are difficult to find, but apprentice farmers at Shared Harvest earn 3,000 to 4,000 yuan (around $370 to $630) a month, which is comparable to workers in second or third tier cities employed in basic white collar work. Wang quit his construction job for good to join Shared Harvest in March this year. Though his parents disapproved of his decision to return to the countryside, he says he hasn’t looked back. Wang is just one of a full-time team of 20 people who help Yan run Shared Harvest. Most of them are in their 20s, and Yan tells me they will most probably stay for one or two years before moving on. She says this a long enough time to build a foundation in organic farming and CSA, and also allows for a steady flow of new recruits. Over the past five years, Yan estimates that more than 200 apprentice farmers have passed through her doors and started their own organic or CSA ventures. Many now partner with Shared Harvest through supplying produce from their own CSA farms. Yan blushes at the idea of being a mentor to so many, saying, “my colleagues joke that Shared Harvest is to farming what a military school is to the army, but I didn’t plan that”. When it comes to solving the problem of agricultural pollution, Yan admits that CSA is only part of the solution. But at least now, the right people seem to be taking notice. Not only has a local district government agreed to sponsor this year’s November CSA conference, last September, Yan was asked to write a report about CSA for China’s Vice Premier Wang Yang.